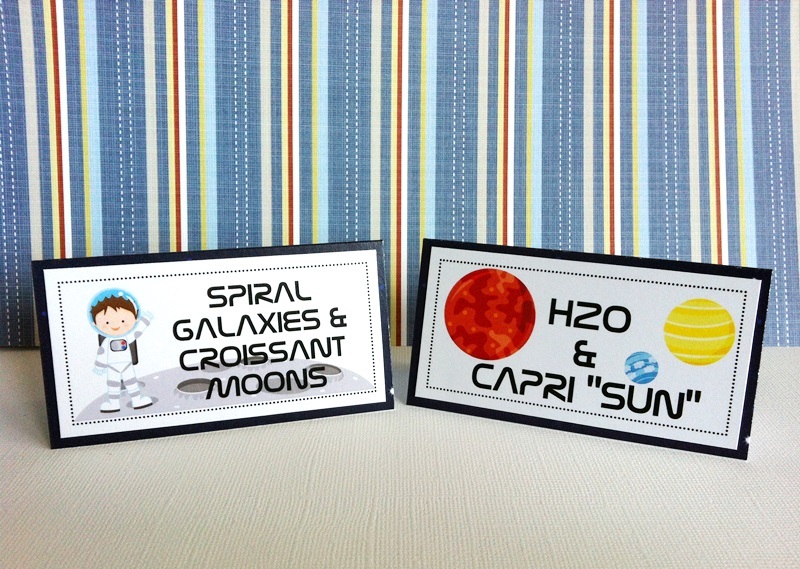 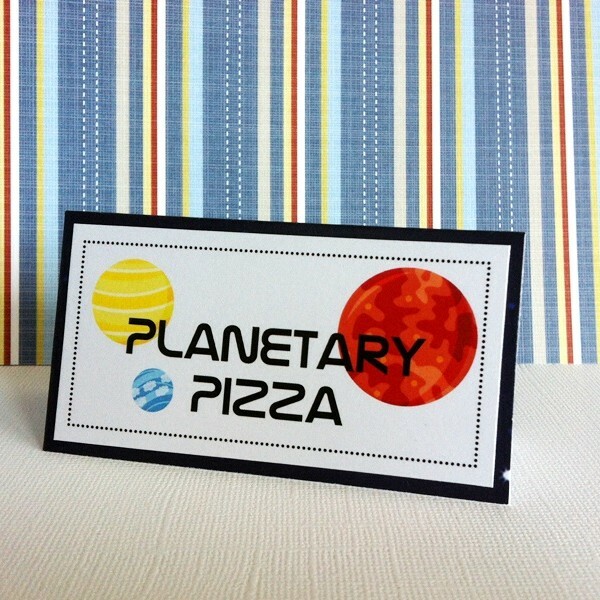 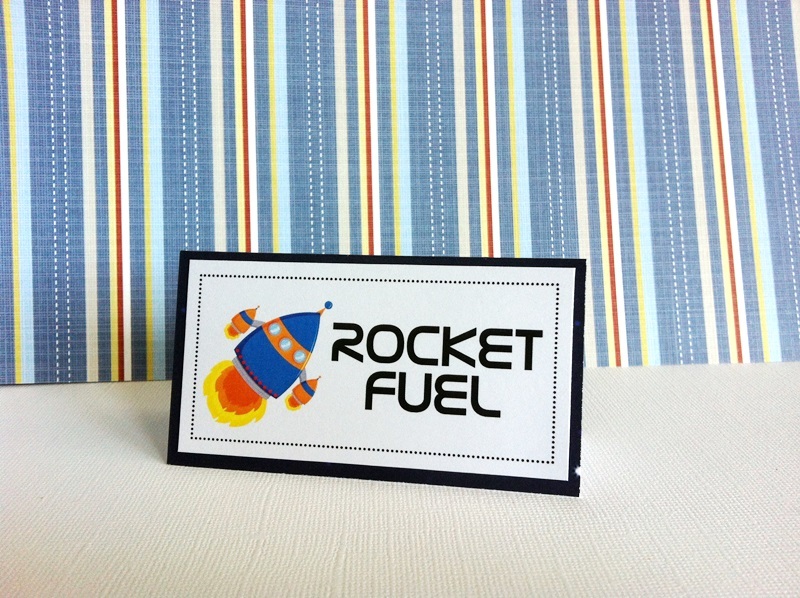 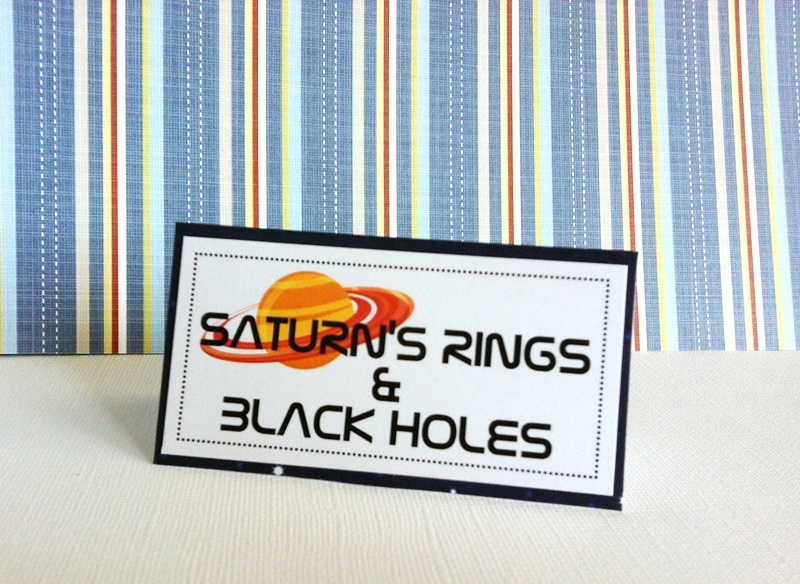 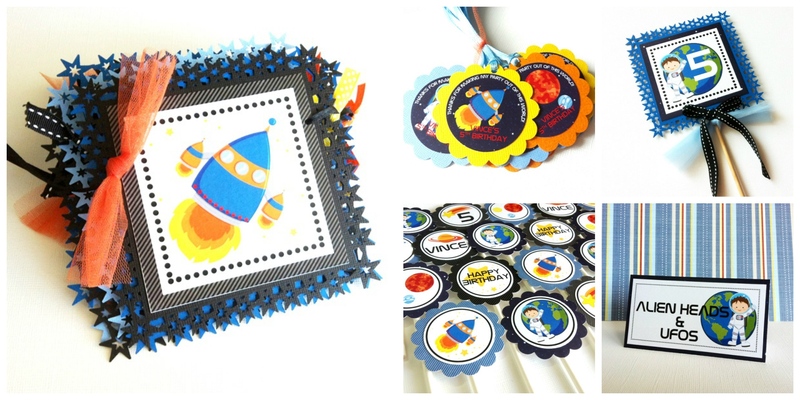 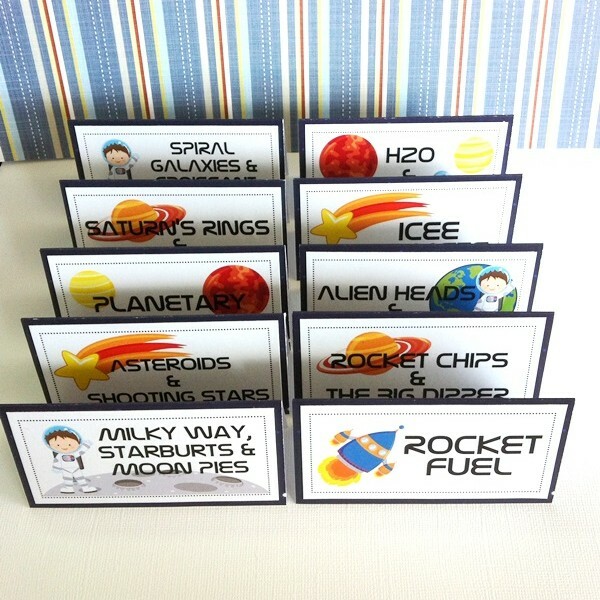 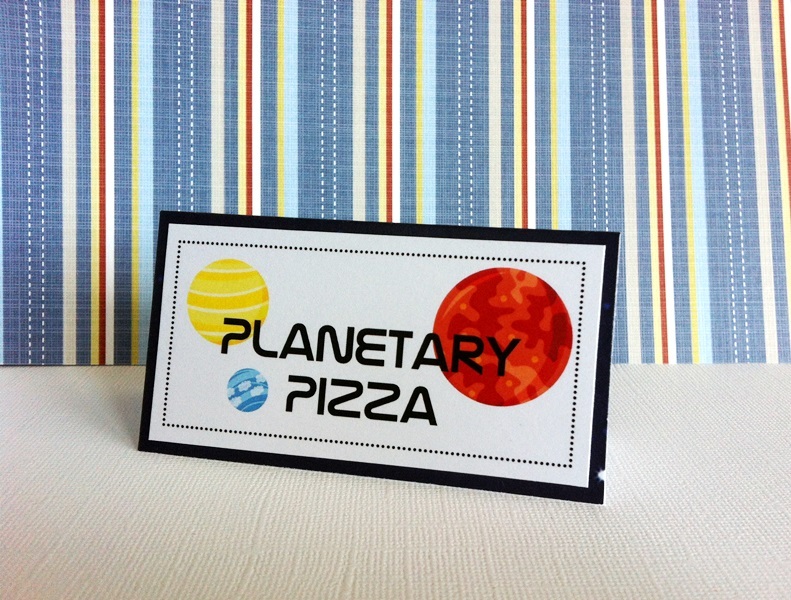 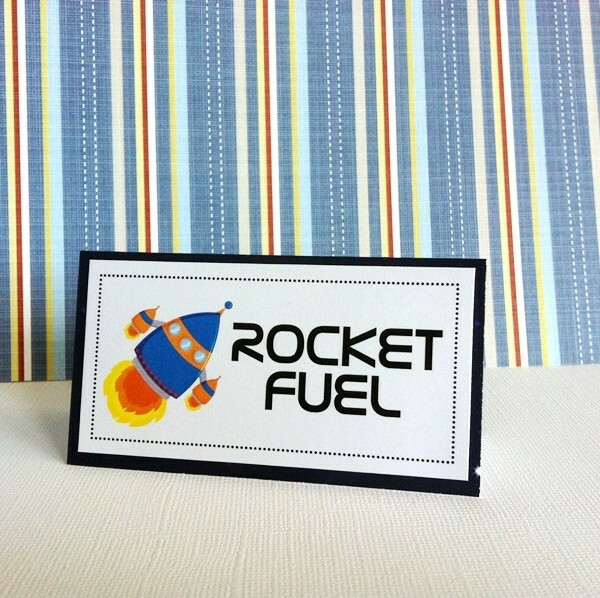 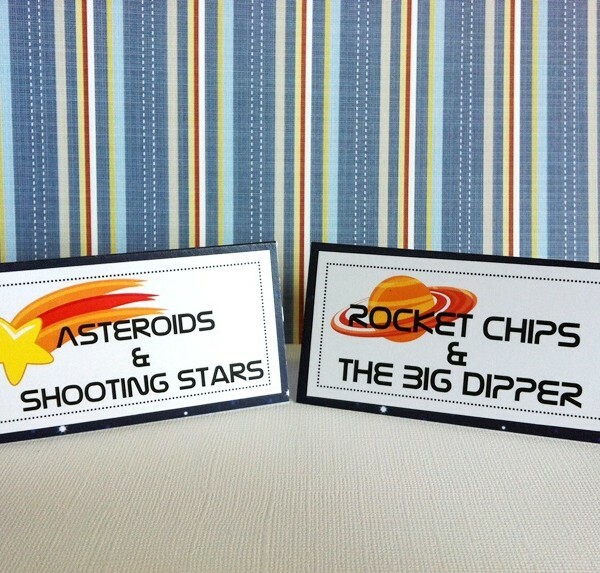 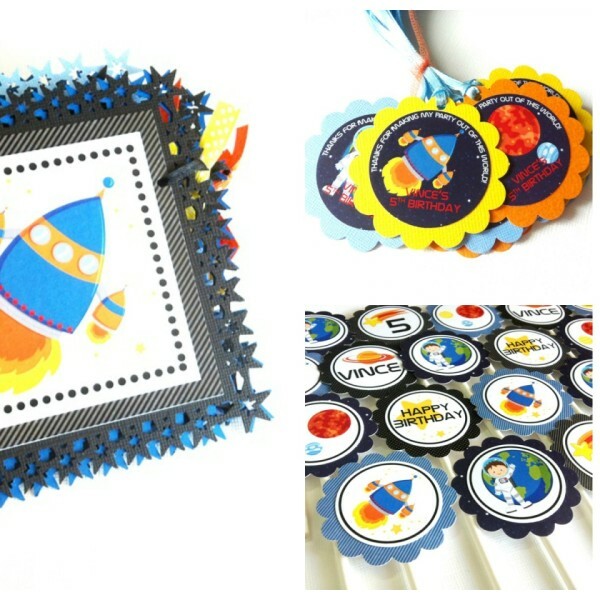 Fun Outer Space Tent Cards for your kid’s party! 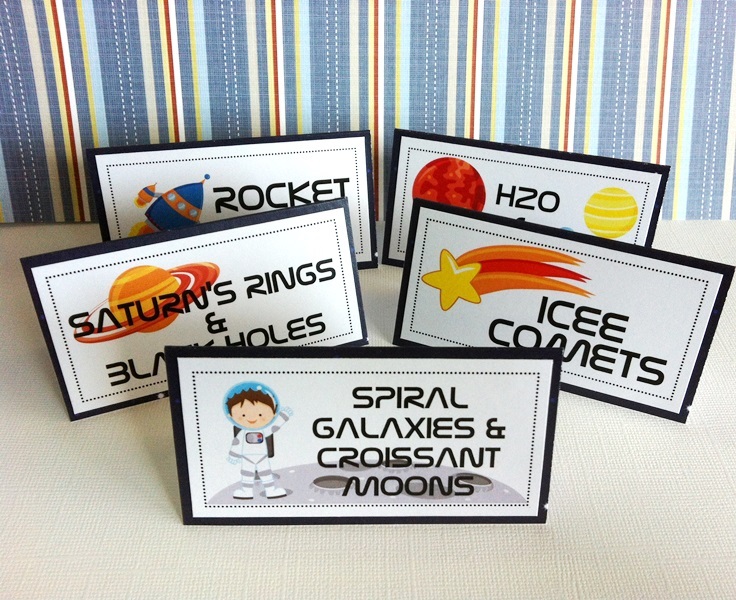 Outer Space is a perfect theme for Astronomy enthusiasts, for girls and boys. 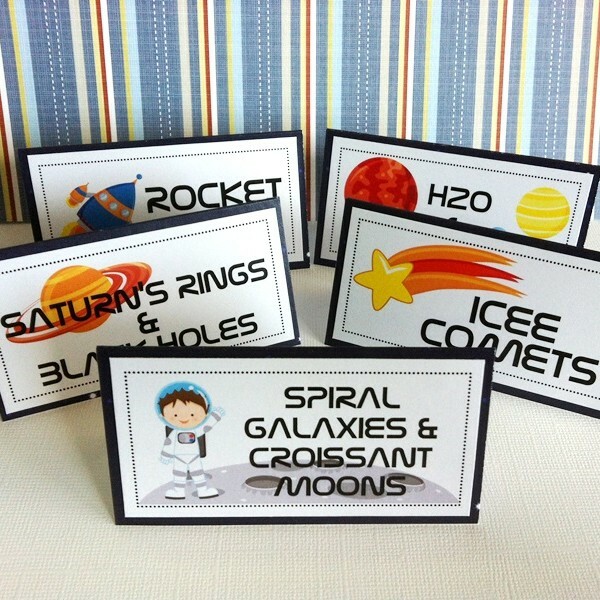 It’s a popular birthday party theme for your little explorer who loves Science. 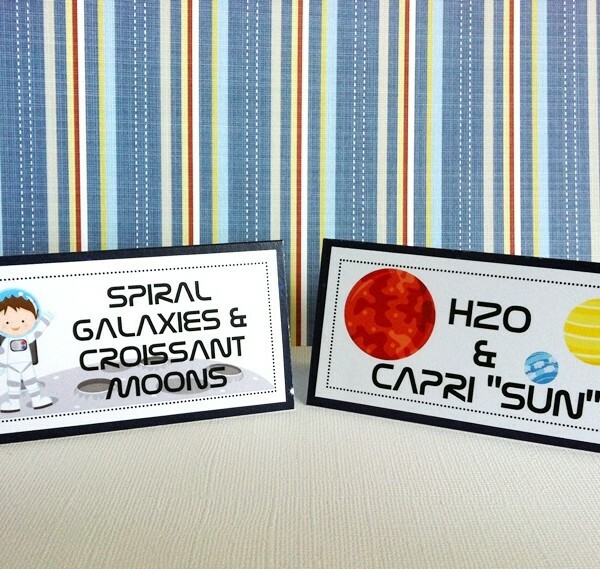 It’s also a great baby shower theme to celebrate a little one’s new arrival, whose mom and dad are Scientists or Space fans. 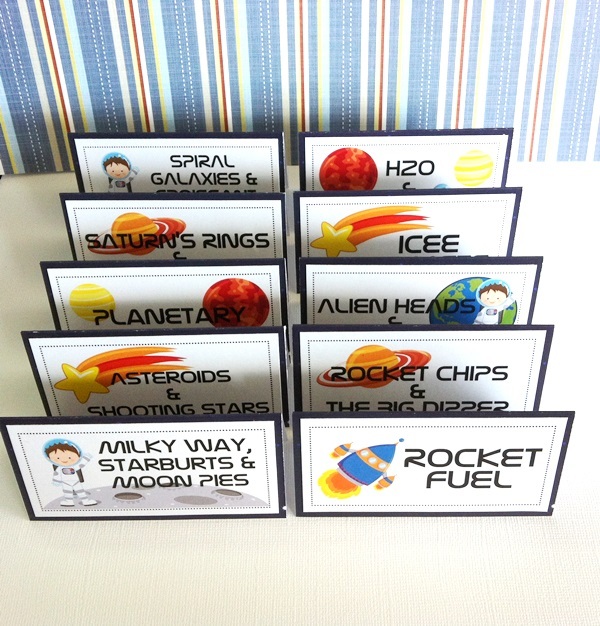 In this listing, each set comes with 6 (six) Outer Space Tent Cards, personalized or blank, your choice. 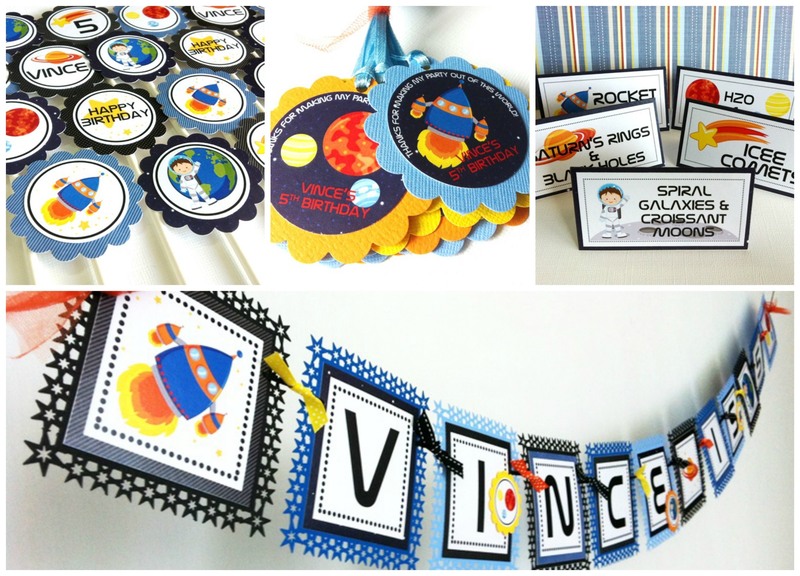 Many fantastic designs are included here, such as Astronaut (boy or girl), Stars and Moons, Planets, and Rockets. 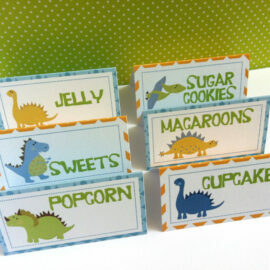 Truly, these cards are awesome party decorations that are going to make your party one of a kind. 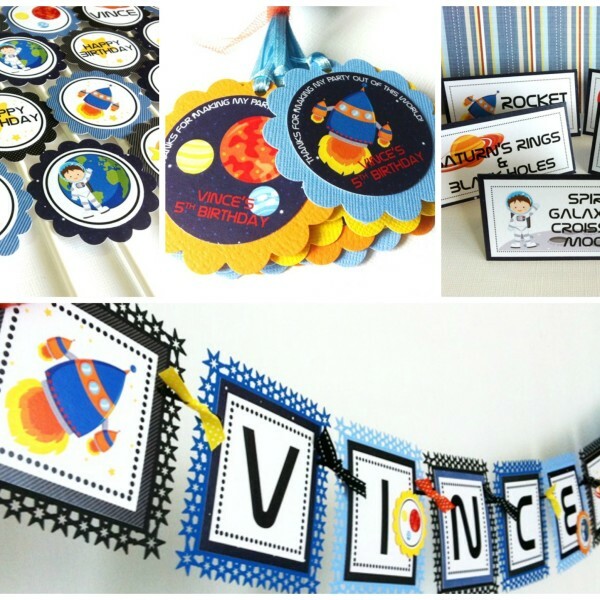 Take a look at these pictures for ideas of fun menu for your little one’s party. 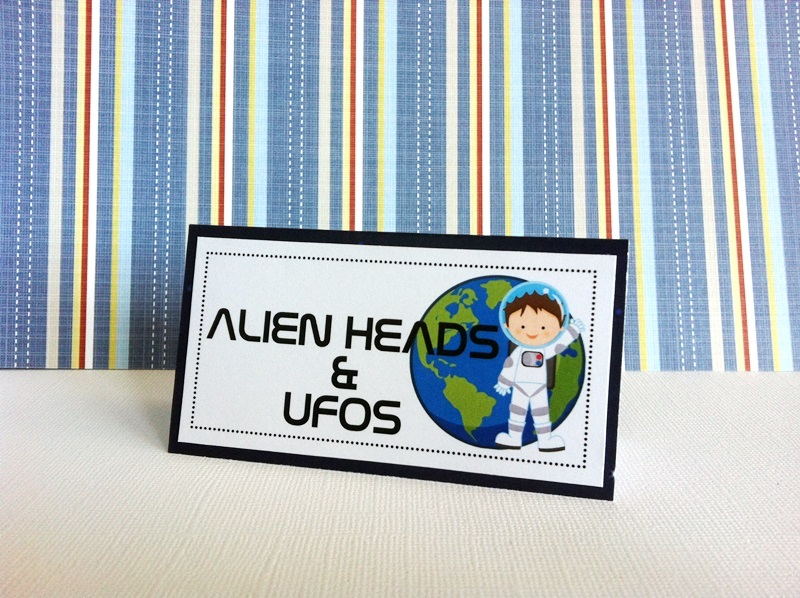 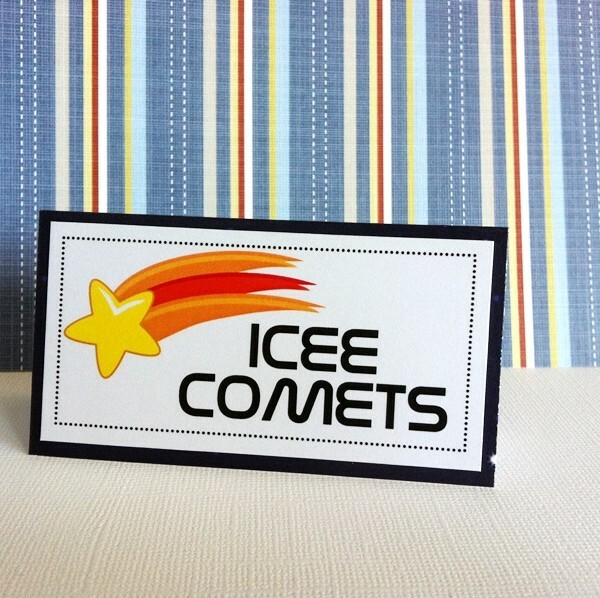 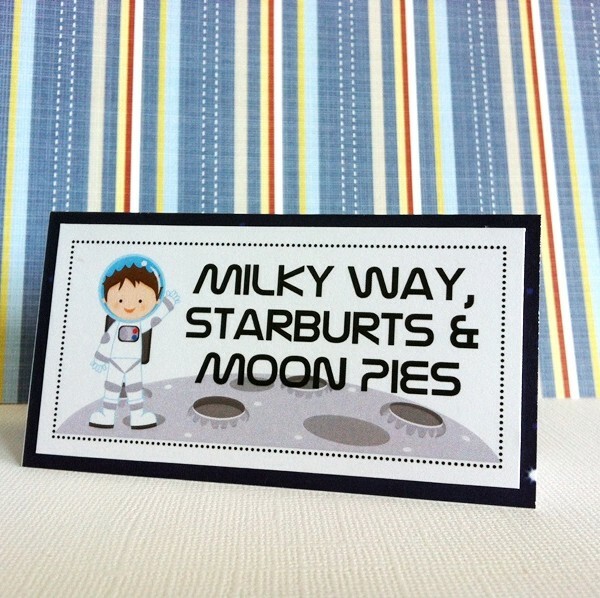 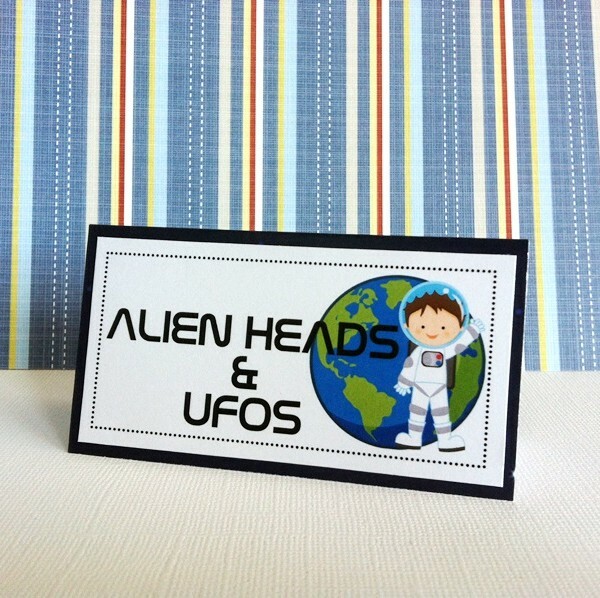 These Outer Space tent cards are so versatile and can be customized to meet your need. 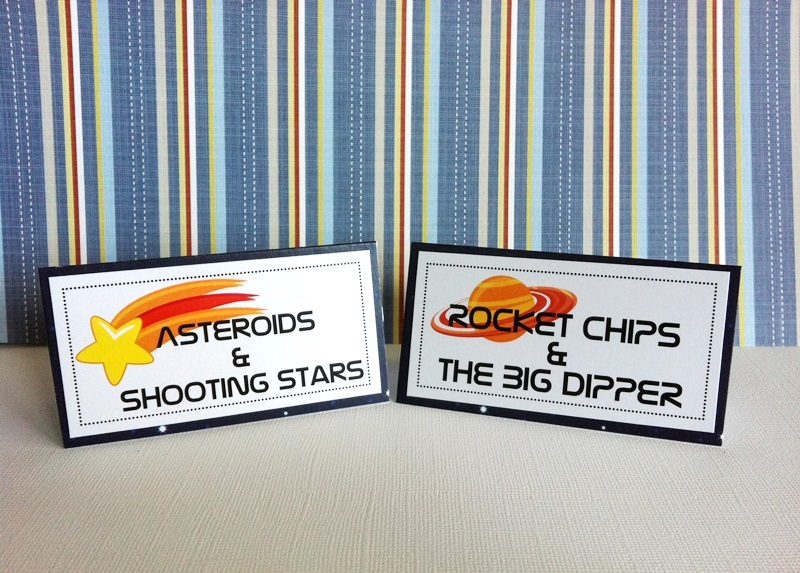 Would you like to use them for food and beverage signs? 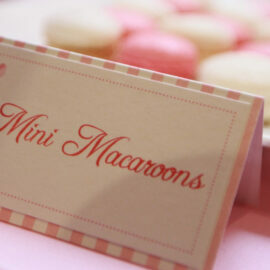 Or would you like them be customized for your guests seating arrangement? 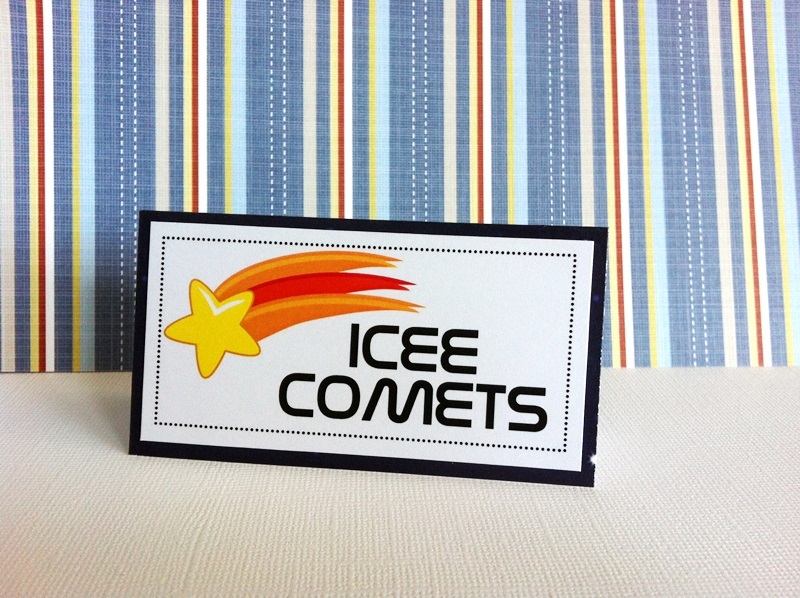 We can have your guest name’s individually typed in each of this tent card. 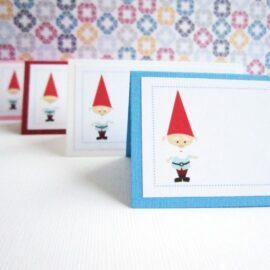 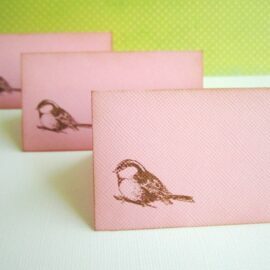 Or you can request to have them as blank cards so that you can personally write them. 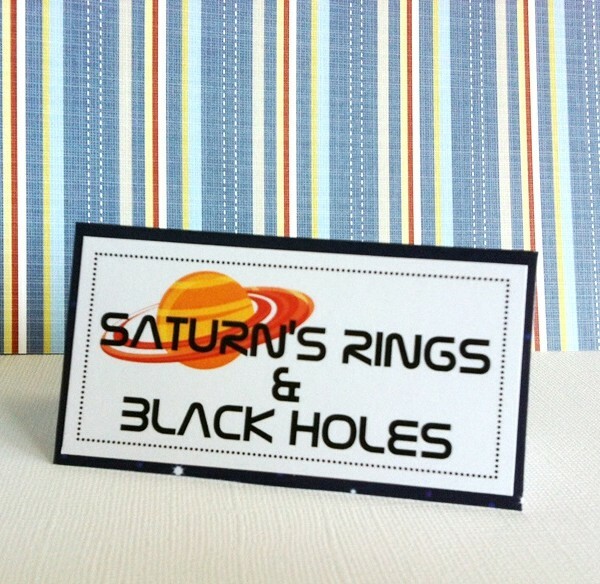 Each of these Outer Space Tent Cards measures 3.75″ x 4″ (9.53cm x 10.16cm), when is folded it measures 3.75 inch x 2 inch. 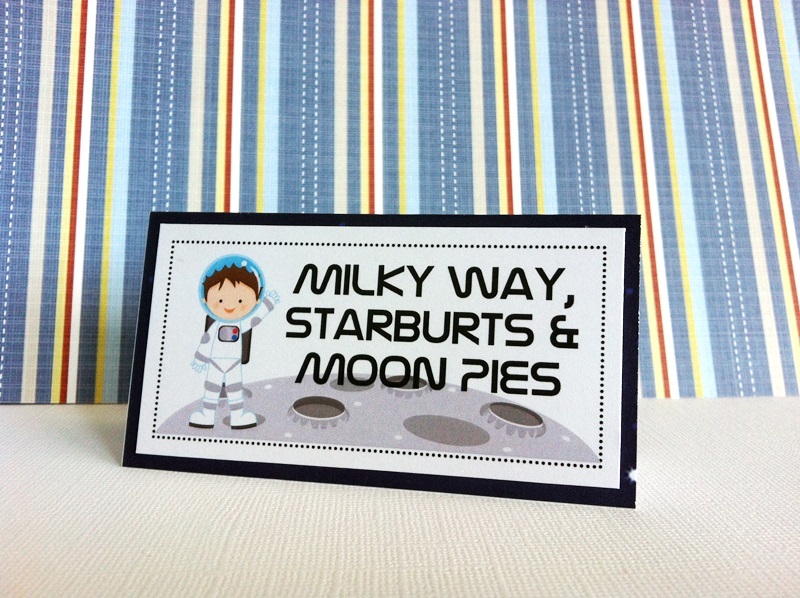 Each is made with sturdy cardstock, designed with Space inspired graphic.